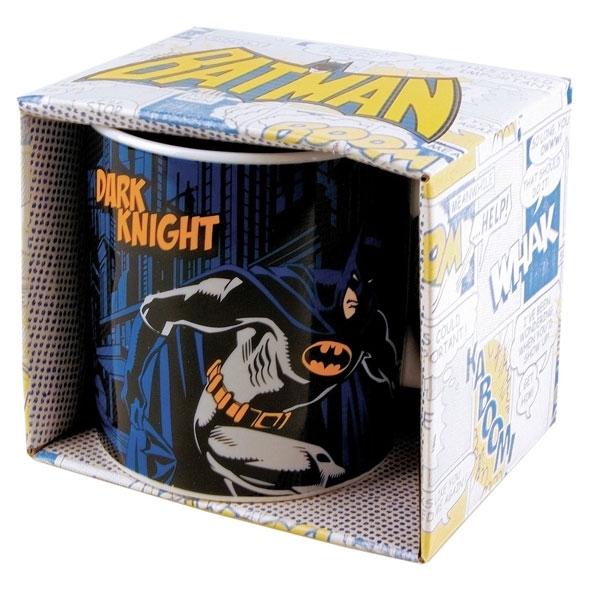 The Batman The Dark Knight Boxed Mug is a must have addition to the gift ideas list, especially if you love Batman. 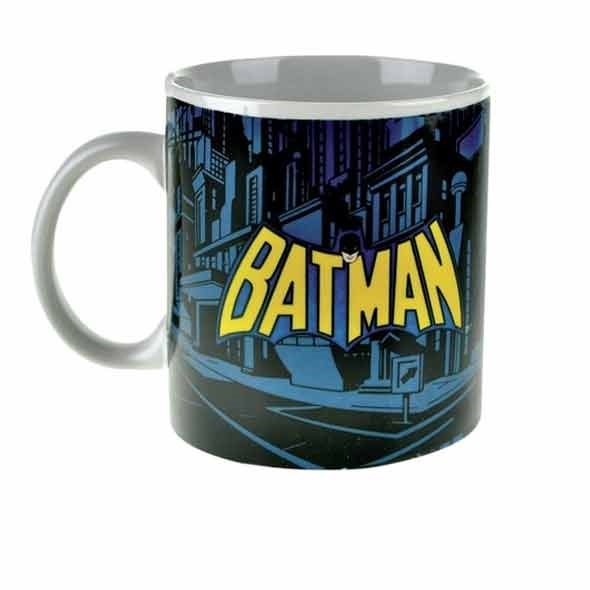 Enjoy a cuppa in your new Batman mug, the best of Batman mug sets! If you're a Batman fan then you must love the latest version of The Dark Knight! From Heath Ledger's mesmerising depiction of The Joker to the shocking revelations of Harvey Dent's double life. The film is jam packed full of action and as always, Batman is the coolest of characters. Indeed, it's pretty easy to understand why the geek-world are so smitten with this cape-wearing hero. This is exactly why this Batman The Dark Knight Boxed Mug set is the perfect gift for any Batman fan, or indeed any geeky comic lover! 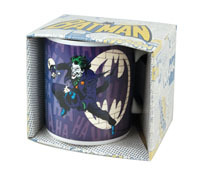 This cool mug comes in a fantastic comic-book print box and features the main man himself (that's Batman, for those of you who hadn't quite cottoned on there) in a pretty badass pose. The mug is largely blue, black, yellow and grey so we'd say it was pretty masculine - but indefinitely cool. 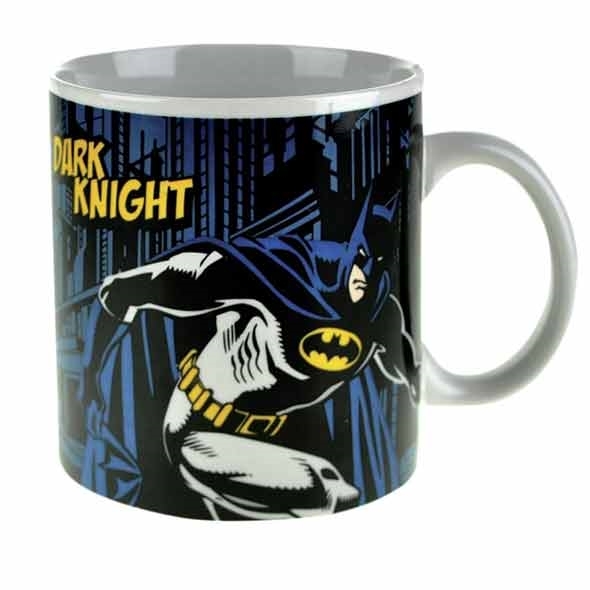 This Batman The Dark Knight Mug Set is one of the quickest, easiest gift ideas for any Batman lover! Pop this in their stocking for a guaranteed grin on Christmas day, or alternatively this is a perfect little novelty gift for geeks and gadget lovers alike!